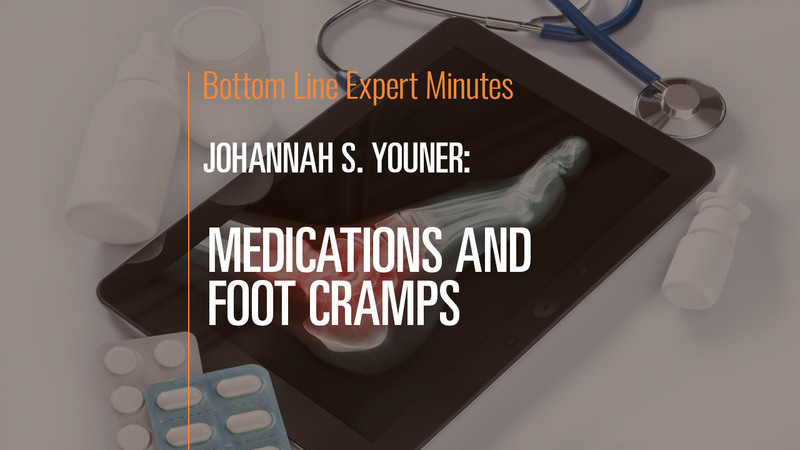 In this video, Dr. Johanna Youner, board-certified podiatric surgeon and a Fellow of the American College of Foot and Ankle Surgeons, states that foot cramps often are caused by medications and explains what to do if you experience these painful side effects. Antipsychotics, hypertensives (blood pressure medications), asthma medications, diuretics and other types of drugs all are known to cause foot cramps. If you experience them regularly or you have debilitating pain, Dr. Youner encourages you to talk to your doctor—there likely are alternative medications that won’t cause this side effect.